As you practice you will begin to connect and focus both your body and your mind. Yoga helps us to balance and center our awareness while energizing, strengthening, and toning all the major muscles and organs in our body. Yoga is suitable for all ages and body types. It promotes strength, flexibility and endurance while providing a source of relaxation through breathing and meditation techniques. The practice of yoga has been shown to reduce chronic pain problems and to aid in circulation, digestion and respiration. Find out more about our Yoga options. Yoga is an excellent way to prepare the mind, body and spirit for the many transitions of pregnancy, childbirth and motherhood. When a woman becomes pregnant, one of the first recommendations from her obstetrician or midwife may be to start practicing yoga. Prenatal Yoga is safe for any trimester, and perfect for any level of yoga experience from beginner onward. In each class, you will be led step by step through therapeutic postures and alignment that will help stabilize your joints, connect to your breath and your baby, and find support, guidance, and inspiration for enjoying your journey and becoming the mom you want to be! 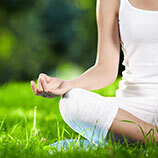 Find out more about our Prenatal-Yoga options. Barre draws movements from Ballet, Pilates, Strength Training, and Hatha Yoga to create an energizing, full-body workout that will leave you feeling revitalized and satisfied. The barre assists with balance work and stretching, while weights and core strengthening props add intensity. How can we build strength on an unstable core? How can we increase our speed and agility on an unstable core? The Pilates philosophy focuses on training the mind and body to work together toward the goal of overall fitness. Pilates teaches awareness of breath and alignment of the spine while exercising. The program works to strengthen deep torso muscles and to firm abdominals and gain a stronger and more mobile spine. Additional benefits include better posture, longer, leaner muscles, improved stamina, coordination, flexibility, and joint mobility. Boot Camp combines body weight, strength, and core exercises to create a high-intensity, full-body work-out. You will you tone your muscles from head to toe and reap the cardio-vascular benefits without the treadmill! Boot Camp is modifiable to all ability levels and limitations. This fitness training targets the abdominals, obliques, glutes, back and leg muscles for a thorough core burning workout. Core Conditioning uses a variety of props, such as weights, stability ball and gliding discs to intensify each exercise and keep you moving! This cardiovascular workout burns calories and keeps your muscles in shape. It uses a professional stationary exercise bicycle with a weighted flywheel in a classroom setting, accompanied by awesome playlists curated by our spin instructors. Spinning, aka Indoor Cycling, builds endurance, strengthens the core, and tones the muscles, and are great for all ability levels. If you’re looking for a fun, challenging cardiovascular workout, or you’re an avid cyclist who needs an indoor ride, then these classes are for you! Private Training Every Body Balance sessions are offered for anyone who wants to work on an individual (or small group) basis with a trainer or instructor, in pretty much any of the class areas that we offer. PT is perfect for practicing Core, Pilates or Yoga 1-on-1 with your favorite instructor! Private training will accelerate meeting your personal goals whether it be rehab from an injury, getting in shape for your favorite sport or an upcoming event, or increasing your physical fitness. We will help you tone, strengthen, and better understand proper exercise techniques, injury prevention and body mechanics. From looking and feeling better to taking your exercise to the next level our trainers have the experience and knowledge to help you find your perfect fitness balance. Personal Training sessions must be purchased when scheduling the session. A discount is available by purchasing a 6-pack of sessions in advance. We offer reformer training to groups of no more than two to give you personal attention and ensure you get the very best out of your session. We utilize Balanced Body Allegro reformers combined with our training experience to provide an enjoyable alternative to Mat Pilates. For the Advanced Pilates student movements can be intensified by adding resistance, and range of motion can be increased by the aid of the moving carriage, straps and stirrups. For the beginning student or those needing injury rehab, the reformer offers assistance in keeping proper alignment, more comfort, and the ability to use gravity and springs to reduce the intensity of the workout. The TRX Suspension Trainer is the best-in-class workout system that leverages gravity and your bodyweight to perform hundreds of exercises. You’re in control of how much you want to challenge yourself on each exercise – because you can simply adjust your body position to add or decrease resistance. Check out our weekly classes, as well as our private or small-group training options with TRX. Dance fitness classes are fun, energetic, and make you feel amazing. The perfect combination of fun and fitness has made Zumba classes a world-wide phenomenon, and they are now offered at Every Body Balance. We’re currently offering Zumba classes on Saturday mornings; check the online schedule for the latest listings. As popularity increases, we’ll add more classes into the mix.